Triple bottom line company. Mission-based business. Social enterprise & social entrepreneurship. Socially responsible investing & impact investing. Green business. Green businesses adopt principles, policies and practices that improve the quality of life for their customers, employees, communities, and the planet. The members of the Green Business Network are changing the way America does business. What do green businesses have in common? 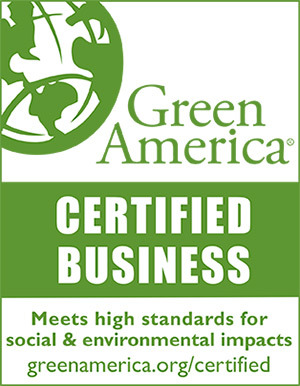 Green America’s Green Business Certification is the leading authentic trustmark for true green business practices. This seal recognizes businesses that excel in social and environmental responsibility, and have met or exceeded our green business standards.